There are so many ways that you can launch a business, a nice meal, drinks at a bar or you could do something a little bit unorthodox. 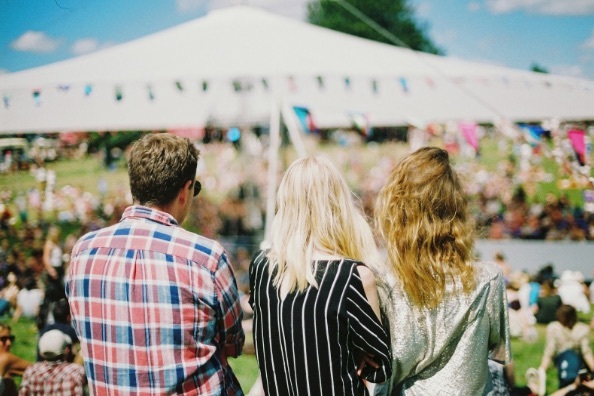 Once you have your business all ready to go, start thinking BIG – like festival big. This could be a much bigger article but let’s cover the basics, what are you going to need to think about to get the ball rolling? Think about what you want to get out of it. It should be a celebration of all you have achieved, and if you have products, then you can showcase them and have them for sale too. You can hook up with other brands that match your ethos, and, you can make some income on those stands. You won’t want to go up against any of the more prominent festivals, so have a good look through the festival calendar for the month you are planning on using. Summer months and weekends tend to bring the most people in. Give yourself enough time to plan it properly. Where? Well, you’re going to have to look at all the possible fields or open spaces you can use in your local area. Have a few meetings with the landowner so that you know what you are expecting and what they are expecting from you in the days after the festival. Get a lot of people on board. Any event is a pretty sizeable undertaking, a festival of any size comes with a lot of fun, but a lot of people-power is going to be needed too. Offer up free food, drinks, passes and maybe even stalls to the people willing to help you in the planning, the run-up and the post clean up. Fix your energy and your logistics. You want to make sure it is as easy as possible for people to get to your event, and you need to have the right power supply. Check out diesel generators when making your decisions, they have a lot of power and should keep all of your acts and stall people happy. As for logistics – ensure you have great public transport links and encourage carpooling. Music or talks? Well, since it is a business launch you might want to combine the two. If you have any speakers that you find particularly motivating or you have friends that are great at giving talks on specific subjects. Then rope them in. The entertainment is something that people turn up for. Local bands will bring their supporters, of course before you hire anyone you should make sure that their ethos aligns with your own and your brand too. Synergy is key here. Get digital. Once you know where and when then you should start selling your tickets online. You can, of course, offer different packages, wristbands and exclusive networking sections – it’s all up to you. Ahead of the day make sure if you are selling products that you have a card reader ready to accept things like apple pay, and contactless cards. You never know when someone might want to purchase from you, so be prepared. Ditch the typical boring launch and aim for something memorable and exciting.